Here at Kenwood Travel we’re experts at organising holidays to Vietnam, so let us guide you through the key locations and luxury resorts situated in the easternmost region of the Indochina Peninsula. With over three decades of experience in arranging bespoke holidays, we’ll make sure that your trip lives up to every expectation. With an array of luxury spa resorts and hotels, Kenwood’s knowledge will firmly place you in the lap of luxury. To us, a Vietnam holiday can fulfil every occasion and need. Whether you’re jetting off for a romantic honeymoon, or simply to enjoy an all-inclusive luxury getaway, our advisors can help you unlock the beauty of Vietnam. For exclusive spa resorts and hotels, look no further than Kenwood Travel. From the luxury of the Con Dao Islands to the urban playgrounds of Ho Chi Minh City and Hanoi, we strive to give your holiday a sense of glamour that will make your experience unforgettable. A compact Vietnam tour (nine nights) offers an itinerary that ensures you make the most of your stay. An extended Vietnam tour (thirteen nights) delves deeper into the country, allowing extra breathing space to savour each day. A Vietnam City and Beach tour (twelve nights) provides an experience that covers both the cities and beaches that make this destination so special. Why Not Choose a Multi Centre Trip? If deciding upon one destination becomes too difficult, why not call one of our advisors for a bespoke multi centre holiday? You’ll be able to create a tailor made experience, opening up a Far East holiday incorporating the best of Thailand, China or Cambodia. Book early to secure a holiday saving for 2016, and take advantage of a great multi centre ticket as you look to explore what the Far East has to offer. Browse our Vietnam holiday offers, and find out more about what you could expect when journeying to this stunning region. 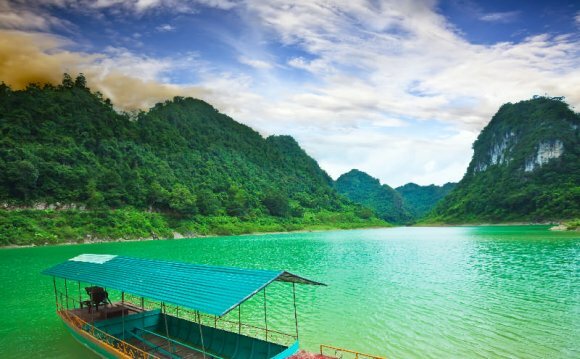 Vietnam is one of the hottest holiday destinations, and for good reason. It has the timeless elegance of Hanoi, the Unesco World Heritage site of Halong Bay and the busy metropolis Ho Chi Minh City among its many charms. Since recovering from the traumas of the past, Vietnam has transformed into a booming global economy - so you won't be short of skyscrapers and shopping centres to visit. Outside the hustle and bustle of the big cities and away from the noise of the motorbikes, you will discover life at a much slower pace. The Mekong Delta is an example of a more traditional, relaxed way of life. Cruise along this enchanting river and get away from it all. A tour represents a great way of taking in the sheer variety of landscapes and experiences Vietnam has on offer. From convenient four-night trips to epic 15-day tours, we are confident we have the holiday package you are looking for. If you are after a more comprehensive trip, we also offer tours that combine Vietnam with Cambodia. Leigh bus station is a bus station located in the town of Leigh, in Greater Manchester. It is run by Transport for Greater Manchester. Shudehill Interchange, known locally as just Shudehill, is a transport interchange located between Manchester Victoria station and the Northern Quarter in Manchester. It comprises a Manchester Metrolink station and a bus station.